Today I am pleased to announce the general availability of Azure Data Box Edge and the Azure Data Box Gateway. You can get these products today in the Azure portal. We’ve heard your need to bring Azure compute power closer to you – a trend increasingly referred to as edge computing. Data Box Edge answers that call and is an on-premises anchor point for Azure. Data Box Edge can be racked alongside your existing enterprise hardware or live in non-traditional environments from factory floors to retail aisles. With Data Box Edge, there's no hardware to buy; you sign up and pay-as-you-go just like any other Azure service and the hardware is included. 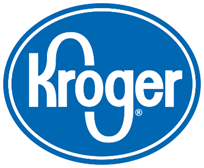 Sunrise Technology, a wholly owned division of The Kroger Co., plans to use Data Box Edge to enhance the Retail as a Service (RaaS) platform for Kroger and the retail industry to enable the features announced at NRF 2019: Retail's Big Show, including personalized, never-before-seen shopping experiences like at-shelf product recommendations, guided shopping and more. The live video analytics on Data Box Edge can help store employees identify and address out-of-stocks quickly and enhance their productivity. Such smart experiences will help retailers provide their customers with more personalized, rewarding experiences. Esri, a leader in location intelligence, is exploring how Data Box Edge can help those responding to disasters in disconnected environments. Data Box Edge will allow teams in the field to collect imagery captured from the air or ground and turn it into actionable information that provides updated maps. The teams in the field can use updated maps to coordinate response efforts even when completely disconnected from the command center. This is critical in improving the response effectiveness in situations like wildfires and hurricanes. Data Box Edge comes with a built-in storage gateway. If you don’t need the Data Box Edge hardware or edge compute, then the Data Box Gateway is also available as a standalone virtual appliance that can be deployed anywhere within your infrastructure. You can provision it in your hypervisor, using either Hyper-V or VMware, and manage it through the Azure Portal. Server message block (SMB) or network file system (NFS) shares will be set up on your local network. Data landing on these shares will automatically upload to your Azure Storage account, supporting Block Blob, Page Blob, or Azure Files. We’ll handle the network retries and optimize network bandwidth for you. Multiple network interfaces mean the appliance can either sit on your local network or in a DMZ, giving your systems access to Azure Storage without having to open network connections to Azure. Whether you use the storage gateway inside of Data Box Edge or deploy the Data Box Gateway virtual appliance, the storage gateway capabilities are the same. All Data Box offline transport products are available to order through the Azure Portal. We ship them to you and then you fill them up and ship them back to our data center for upload and processing. To make Data Box useful for even more customers, we’re enabling partners to write directly to Data Box with little required change to their software via our new REST API feature which has just reached general availability – Blob Storage on Data Box! Order Data Box Edge or the Data Box Gateway today via the Azure portal. 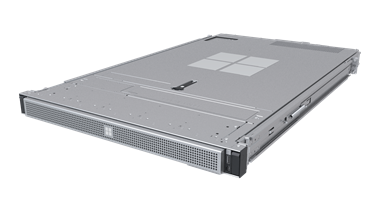 Review server hardware specs on the Data Box Edge datasheet. Learn more about our family of Azure Data Box products.